The West Virginia Wesleyan College Men’s Soccer Summer ID Camp is inviting all high school male soccer players. It will be on July 15, . It will be an excellent opportunity to showcase soccer skills to attending college coaches. This event is ideal for those who desires to play at the collegiate level. The camp will focus on providing advanced training sessions. Sessions that will improve the player’s technical abilities and tactical comprehension. The camp will also facilitate competitive games. It will also include other values that a successful soccer athlete should possess. The camp will take place at the state of the art Culpepper Stadium. It will start at 1:00 PM and end at 5:00 PM. West Virginia Wesleyan College is a private liberal arts college. It is an affiliation of the United Methodist Church. The college is also a member of the Council of Independent Colleges. It has an accreditation from the Commission on Institutions of Higher Education of the North Central Association of Colleges and Schools. West Virginia Wesleyan College is 47th in the Regional Universities South rankings. Correspondingly, it is also 5th in the Best Value Schools rankings. Currently, it accommodates around 1,500 students. The college has 21 sports varsity teams. They call themselves the Bobcats. They are participating in the Mountain East Conference of NCAA Division. Orange and black are their identity colors. The men’s soccer team is 4th in the latest conference standings. The Bobcats men’s soccer head coach is Gavin Donaldson. He is at the helm of the team’s coaching staff since 1992. He is a 6-time WVIAC Coach of the Year awardee. Coach Donaldson is also the 2014 NAIA as well as NSCAA National Coach of the Year awardee. Then, he is the former National Chair of the NCAA Division II Men’s Soccer Committee. And, he is an NSCAA Premier (DP) Diploma holder. The team’s assistant coaches are Ryan McDougall and Daniel Smee. 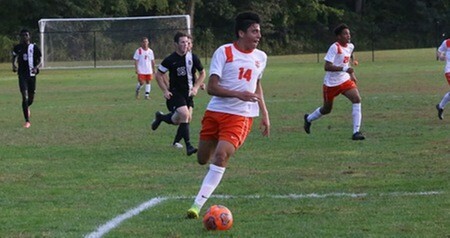 The West Virginia Wesleyan College Men's Soccer Summer ID Camp is an excellent opportunity to showcase soccer skills to attending college coaches.